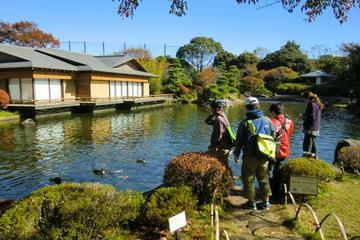 The Tokyo Sea Life Park is located in the Kasai Rinkai Park on the shore of Tokyo Bay. 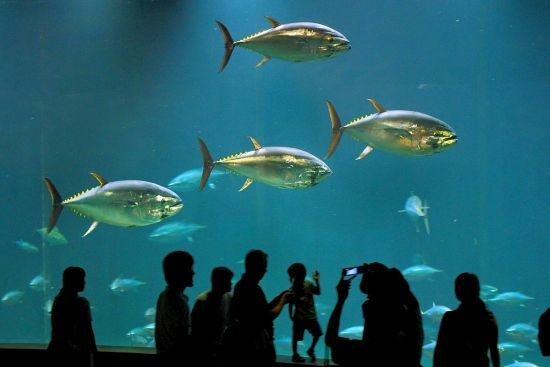 The Tokyo Sea Life Park is located in the Kasai Rinkai Park on the shore of Tokyo Bay. Its huge 2200-ton tank houses bluefin tuna which dart swiftly around. The aquarium also exhibits sea birds including penguins, and giant kelp from California, USA.